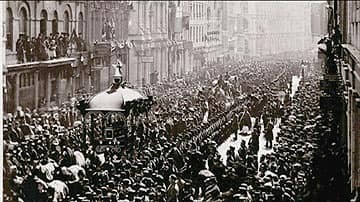 When the new Dominion of Canada was less than a year old, it was rocked by its first political assassination. 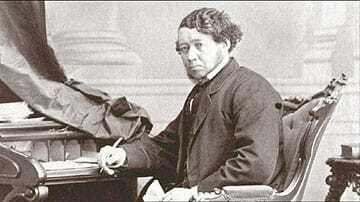 Thomas D'Arcy McGee was a politician, a poet, and one of the Fathers of Confederation. He had a rare talent for getting along with all members of the fractious House of Commons. McGee had been elected to Parliament with the help of the Irish of west Montreal. He had been instrumental in convincing the Irish population to support Confederation, which they initially viewed as similar to the despised English rule of Ireland. As a young man, McGee had become involved with a group of nationalists who advocated rebellion against England. Now McGee was a harsh critic of another Irish separatist movement called the Fenian Brotherhood. He condemned violence and all secret societies that preached it. "Secret Societies are like what the farmers in Ireland used to say of scotch grass," he wrote in the Montreal Gazette. "The only way to destroy it is to cut it out by the roots and burn it into powder." His words angered the Fenians and their sympathizers who considered McGee a turncoat. On April 6, 1868, shortly after 1 a.m., McGee left Parliament Hill after a late sitting. He walked to a boarding house where he stayed while in Ottawa. As he was turning his key in the lock, McGee was shot in the head and died immediately. Within 24 hours, police had arrested James Patrick Whelan, whom they assumed to be a Fenian. In his pocket they found a revolver, which had recently been fired. Whelan was tried and found guilty of the murder of McGee, though he maintained his innocence and it was never proven that he was a Fenian. 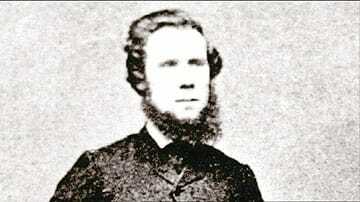 Whelan was hanged in front of a crowd of five thousand people - the last public hanging in Canada. In Montreal, thousands turned out for McGee's funeral on what would have been his forty-third birthday. The murder of McGee caused a hardening at the top levels of government. Prime Minister John A. Macdonald took the crisis personally and was in no mood to tolerate those who sought to change society by the barrel of a gun. Soon, Macdonald would face a new crisis that would lead to more violence as he pursued his dream to build a country that spanned the continent.